Conducts advisory reception of patients with neurological disorders, practicing all kinds of modern diagnostic procedures to detect the CNS lesions. Treats IRR, Alzheimer's, Parkinson's and Huntington's, multiple sclerosis, migraine status, neuropathy, TIA, coma, epilepsy. Corrects speech and motor disturbances occurred as a result of the transfer of neurological diseases. 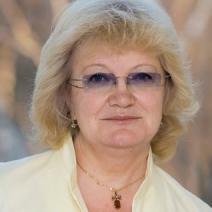 Kazantsev Irina Vadimovna studied at ISMU and TverGMU, graduated from the internship in "Neurology" in 1982. Improve their qualifications in areas Epileptology, reflexology, lipidology. A neurologist, actively uses various methods of examination and treatment of patients: reading EEG, CT, MRI of the brain and spinal cord, performs various types of blockades, uses psychotherapeutic techniques. A specialist for the treatment of cerebrovascular pathology. An experienced specialist, treats the full range of neurological and vascular disorders.